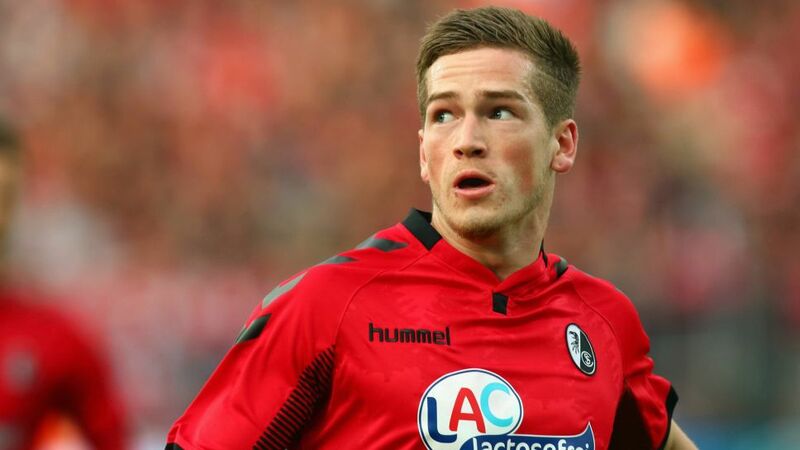 After a month in Germany, Freiburg’s Ryan Kent is beginning to get to grips with the language, the Bundesliga and wearing shinpads in training. The 20-year-old, who has moved to the Black Forest on a season-long loan from Liverpool, has had a taste of the German top flight with three substitute appearances in his new club’s most recent trio of matches, but could be in line to make a first start against Hoffenheim on Sunday. Question: Ryan, what do you expect from Hoffenheim this weekend? Ryan Kent: Everyone knows they’re a top team. They’re second right now, so they’ve started the season well. It’ll be important for us to start the game well to be able to get our first win by the end. Question: So they’re not an unknown quantity for you? Kent: Liverpool played Hoffenheim in August in the Champions League play-off round. I travelled with the Liverpool squad and coach Jürgen Klopp to Hoffenheim. That was a great experience for me, and Hoffenheim gave a good account of themselves, played really good football and showed they’re a very stable team. Hopefully we can crack them. Question: How have you settled in? Kent: Well. My team-mates and the coaching staff have made life very easy for me. Caleb Stanko has been a big help with the language barrier. In all the teamtalks, he sits near me and he takes care in training that I understand everything. Question: So the language spoken on the training ground is German? Kent: Yes, and I find that good because the sessions should be made for the team, not for me. Christian Streich explains to me as often as he can in English, but it’s also up to me — through the gestures of the coaching staff — to understand what is required of me. Question: Which differences between Germany and England have you noticed? Question: And the difference on the pitch? Kent: In that respect, I think Freiburg and Liverpool are not so dissimilar. It’s perhaps because Liverpool have a German coach in Jürgen Klopp. I still have to get used to the style that Freiburg want. One thing is very different: We wear shinpads here in training — no-one does that in England. You only wear socks. That was a bit of a culture shock for me at the start. But the first time I trained with them on, I understood why. The intensity at Freiburg is very high. Here, everyone gives 100 per cent in training and through that, you get a good feeling in matches.